Adopted on July 15, 2002. 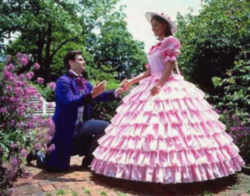 The story of Stephen Foster's life is recalled in Stephen Foster, The Musical (formerly The Stephen Foster Story), a long-running seasonal stage show produced at My Old Kentucky Home State Park in Bardstown, Kentucky. Kentucky's Official Outdoor Musical Celebrates 54 Years! Breathtaking costumes, lively dance & the timeless music of America's 1st great composer. Nestled in My Old Kentucky Home State Park, where music fills the night air, go back in time to the 1850's. Kentucky's longest-running outdoor drama and official outdoor musical celebrates the life of renowned American composer, Stephen Foster. 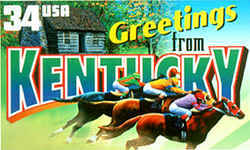 Colorful period costumes, energetic choreography and over 50 of Foster's most beloved and timeless classics, including Kentucky's official state song "My Old Kentucky Home," offer a delightful experience for audience members of all ages. 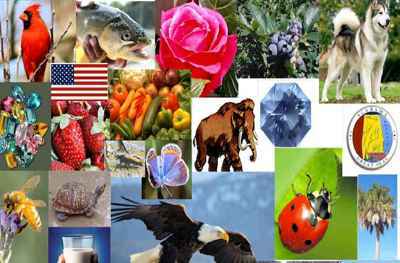 The usual season runs from early June until mid-August on various dates. Other shows and concerts are performed throughout the season as well. 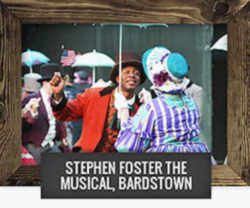 "Stephen Foster -The Musical" J. Dan Talbott Amphitheatre, Bardstown 40004. Nightly except Mon., 8pm, June-Labor Day. Sat. Matinees at 2 pm, indoor theatre. Outdoor musical drama about the life of Stephen Foster featuring many of his famous melodies, enhanced by beautiful costumes and live dances of the period. 800-626-1563. Nestled in My Old Kentucky Home State Park, where music fills the night air, go back in time to the 1850's. Experience the sights and sounds of an era when America's first great composer, Stephen Collins Foster wrote timeless classics like Oh! 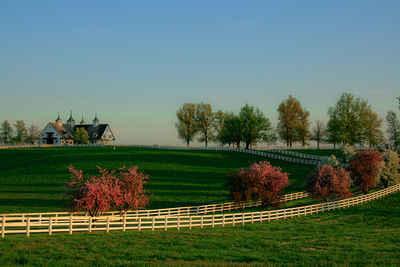 Susanna, Camptown Races, Beautiful Dreamer and My Old Kentucky Home. The law designating "Stephen Foster -The Musical" as the official Kentucky state outdoor musical is found in the Kentucky Revised Statutes, Title 1, Chapter 2, Section 2.085. "Stephen Foster -The Musical" is named and designated as the official state outdoor musical of Kentucky. History: Created 2002 Ky. Acts ch. 9, sec. 1, effective July 15, 2002.